During the last week of August, I joined faculty and administrative staff in welcoming the Class of 2022 to the Lycoming family. That welcome included the traditional Convocation ceremony held on the historic Upper Quad. Enjoying the beautiful Friday afternoon weather and the shade of the wonderful trees that populate the space, the new students absorbed advice from our faculty speaker Kerry Richmond, Ph.D., and Deans Miller and Kilpatrick. The Lycoming College Tour Choir also joined in the welcome by performing two lovely selections. Provost Sprunger lauded the incoming class’s many accomplishments and talents prior to presenting them for formal acceptance into the College, and I then had the honor of charging them to think deeply and act boldly during their time at Lycoming. The Class of 2022 is special in many ways. 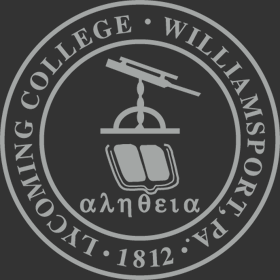 Their profile also represents continued progress toward our overarching strategic goal of strengthening the College’s reputation as one of the best national liberal arts college. They are a national, global and culturally diverse student body with a strong academic profile. They are the kind of students enrolled by the best colleges. The academic profile of the Class of 2022 is the strongest of any class since the group that entered in the fall of 2010. Twenty-two percent of the students ranked in the top 10 percent of their high school graduating class compared to an average of 17 percent in the preceding four cohorts. Equally impressive, 47 percent ranked in the top quarter in high school while the preceding four classes averaged 38.5 percent. Similar to the three cohorts that preceded them, the Class of 2022 is a national, global, and diverse group. Nearly half of them hail from outside the State of Pennsylvania. Our neighboring states of Maryland, New Jersey, and New York are well-represented, but the new students also come from Alaska, Arizona, California, Colorado, Florida, Georgia, Illinois, Louisiana, Massachusetts, Maine, Missouri, Rhode Island, Tennessee, and Texas. International students compose six percent of the cohort, including several students from the country of Mauritius. The new students are also a culturally diverse group. About one-third of them are domestic students of color, including 15 percent African American and 14 percent Hispanic American. The gender composition of the class is also striking. From 2014 to 2018, in contrast to the national trend, entering classes at Lycoming included more men than women. In contrast, 60 percent of the Class of 2022 are women — a percentage that is very similar to the Class of 2014. Moreover, a high percentage of these women have strong academic profiles, and a significant number of them are interested in the sciences, especially the biological sciences, astronomy, and our new major in neuroscience. Other fields of strong interest for the women include psychology, music, criminal justice, art, and education. Business is the most popular major among men, and 15 percent of the class enter undecided. As has been typical, prospective student-athletes are well-represented among the entering class. Nearly one-third of the students intend to compete in intercollegiate athletics. Football brought in its usual strong cohort while men’s and women’s soccer, men’s lacrosse, and softball had particularly good years. Overall, there are eighteen to twenty more female student-athletes than in the previous two cohorts. We look forward to seeing their contributions to our strong athletic tradition. In summary, I am delighted with the Class of 2022. We have advanced our strategic objectives and we are excited by their promise. They are a cause for celebration. 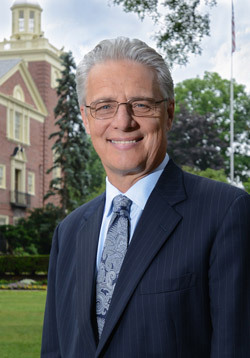 Kent C. Trachte, Ph.D., is the 15th president of Lycoming College.